St. Martin's Press, 9781250019578, 304pp. Ingrid Yung's life is full of firsts. A first-generation Chinese American, the first lawyer in her family, she's about to collect the holy grail of "firsts" and become the first minority woman to make partner at the venerable old law firm Parsons Valentine & Hunt. Ingrid has perfected the art of "passing" and seamlessly blends into the old-boy corporate culture. She gamely banters in the corporate cafeteria, plays in the firm softball league, and earnestly racks up her billable hours. But when an offensive incident at the summer outing threatens the firm's reputation, Ingrid's outsider status is suddenly thrown into sharp relief. Scrambling to do damage control, Parsons Valentine announces a new Diversity and Inclusion Initiative, commanding Ingrid to spearhead the effort. Only she's about to close an enormous transaction that was to be her final step in securing partnership. HELEN WAN is Associate General Counsel at the Time Inc. division of Time Warner Inc. Before that, she practiced corporate law and media law at law firms in New York. Born in California and raised near Washington, D.C., Wan is a graduate of Amherst College and the University of Virginia School of Law. Her essays and reviews of fiction have been published in The Washington Post and elsewhere. She lives in Fort Greene, Brooklyn, with her husband and son. 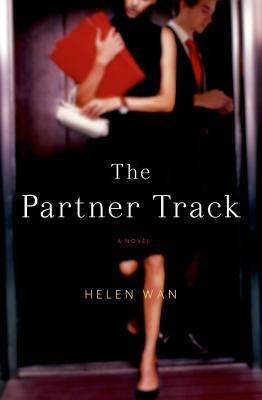 The Partner Track is her first novel.